“There comes a time when every fighter must move up in weight, and now is that time for David Lemieux,” said Oscar De La Hoya, Chairman and CEO of Golden Boy. Lemieux, 30, was last seen on the televised pay-per-view undercard of Canelo vs. GGG2 when he scored a first-round knockout victory against Gary “Spike” O’Sullivan. The native of Montreal, Canada promises to be stronger than even in his super middleweight debut. Ryder is a 30-year-old native of London who is the No. 1 contender for the WBA Super-Middleweight Title. 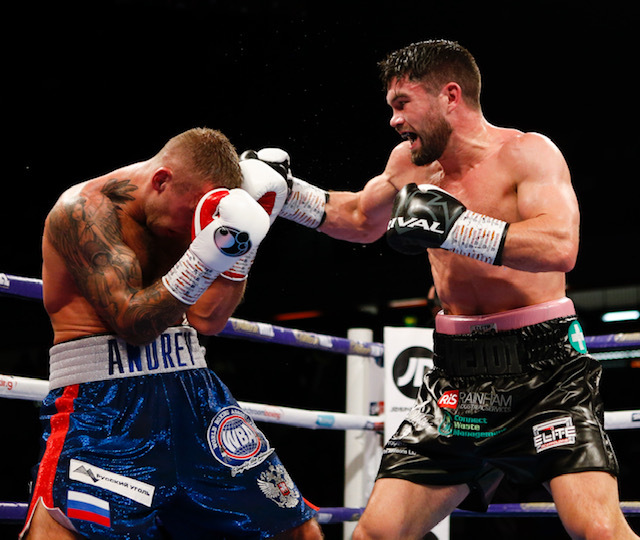 Ryder has faced tough opposition, including a close fight against Rocky Fielding and a tough battle against Billy Joe Saunders. The “Gorilla” is coming off a seventh-round technical knockout win against previously undefeated Andrey Sirotkin, and he’ll look to retain his shot at the title with a win against Lemieux. “I’m fully focused on the fight with David Lemieux but obviously there’s a massive pot of gold for the winner,” said John Ryder. “This is a great fight on an great night of boxing,” said Eddie Hearn, Managing Director of Matchroom Sport.